One day in June 2011, my wife, Mary Beth Faimon, and I took a riverboat cruise on the Mississippi River from Harriet Island in Saint Paul. On the cruise, I saw, for the first time, Imniza Ska, the white cliffs that line the Mississippi River. 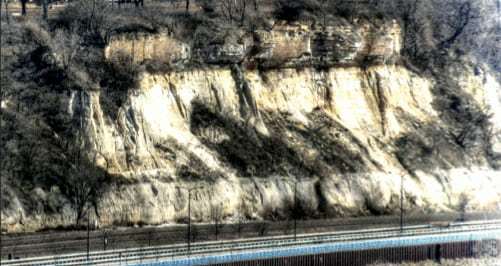 Imniza Ska is the name given by the Dakota people, referring to the white sandstone in the bluffs, for the area in which the present-day city of Saint Paul is located. Today, however, we just say that Imniza Ska is Saint Paul. I think that the city of Saint Paul ought to acknowledge in some way the ancient Dakota name Imniza Ska. This place name ought to be taught in the public schools of Saint Paul as well as in its colleges and universities. People who think that Norwegians were the first people in Minnesota would learn that the Dakota People were the first Minnesotans. Imniza Ska and Mini Sota Makoce are just two of the many place names that either are Dakota words or are derived from the Dakota language. The year 2012 is the 150th anniversary (or sesquicentennial) of the Dakota–U.S. War of 1862 and it is an important time to honor and highlight the rich history of Dakota place names. It would be good if these dozens of Dakota place names would be taught in the schools and colleges and, eventually, be included in the textbooks about Minnesota history. States. This land, upon which Saint Paul is located, is land for which payment has not been made. This Dakota writer is hoping that the nation (that is, the United States) and state (that is, Minnesota), both of which consider themselves moral and ethical, will consider paying for the land and making back-rent payments. This junction of the two rivers is Bdo’–te, which means “where the rivers meet.” Bdo’–te can refer to any confluence of streams: a creek joining a river, a lake draining into a river, and so on. For whatever reason, someone, probably a missionary, used the letter “M” to represent the “B” sound; hence, we have “Mendota” instead of “Bdo’– te.” This area was considered maka cokaya kin, “Center of the Earth.” Joseph Nicollet translated the phrase as “center of the universe.” Nicollet does not mention the Dakota person/source from which he got the translation.